DataTracks offers a fully outsourced assisted service for iXBRL conversion of financial statements. With more than 50,000 iXBRL statements prepared, and footprints across the globe, DataTracks has become the lingua franca in compliance and financial reporting. We have been handling sensitive financial data (in regulatory filings) for more than 12 years. We host our website (that receives inputs and returns outputs) and store all data in a high quality and well-protected data centre in the UK. Data is securely accessed for iXBRL preparation, from our delivery centres that are certified for ISO 27001:2013 information security standards. Your data is secure and is protected against intrusion and is backed up on a regular basis. We access your data in a safe way. Our delivery centres worldwide are secure environments. 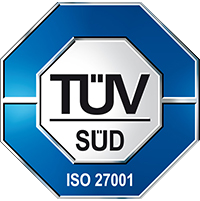 The delivery centres we use are ISO 27001:2013 certified for information security management. Entry to our secure iXBRL delivery centres is restricted to authorised staff alone. All entries/exits are controlled, monitored and recorded. Our delivery centre networks are ring-fenced by firewalls that control access, protect our databases, detect intrusion and provide logical security. We use open standard encryption for better protection. Our delivery centre is free of any recording device including access to internet, access to emails outside a closed user group, writing devices on our PCs (including CD/DVD drives, USB flash memories, floppy drives). We prohibit pen, paper, cameras and mobile phones with any kind of recording device into our delivery centres. We are a corporation with world class corporate governance. DataTracks shall deal with customers, suppliers, government, employees, competitors and community in a fair manner with honesty, integrity and ethics. DataTracks shall not strive to take unfair advantage through any unfair practice. Our employees are covenanted to respect your rights and data confidentiality. All employees who handle your data have formal employment contracts. All our employees are covenanted by contract to respect your rights and confidentiality of your data. This covenant continues to apply even after the contracts are terminated by them or us. We have a policy of pursuing action against any violation of this covenant without exception. 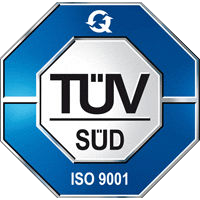 DataTracks gets the inputs provided by you, converts into XBRL/ iXBRL documents at its delivery centres that are certified for ISO 9001:2015 quality standards by TUV of Germany. Our Indian delivery centre is structured to fulfil your requirements in a timely manner, under your budget, with our world class quality management in place. We have successfully been assessed for SSAE18. We have expertise in accounting taxonomies based on UK GAAP, IFRS, New UK GAAP (FRS 101, 102), Irish GAAP, US GAAP, Singapore FRS and India GAAP. We use our proprietary iXBRL tagging software developed in-house to prepare iXBRL instance documents. We keep the tagging engine updated with changes in taxonomies.